Fiat Punto Evo is a perfect blend of great design and style from world renowned Italian designers with the highest level of European engineering standards. 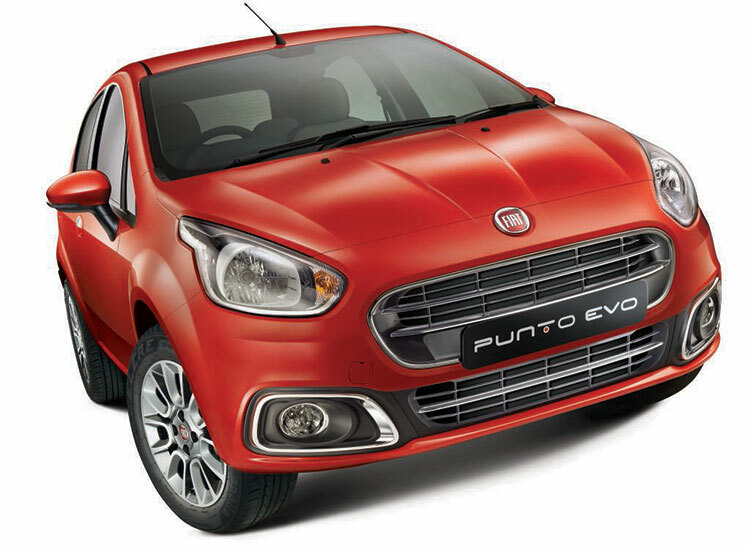 Fiat Group Automobiles India Private Limited (FGAIPL) has released Punto Evo keeping style conscious customers in mind. Punto Evo belongs to premium hatchback segment with a mind-blowing design language. Punto Evo is a dramatic evolution of the earlier version sporting the design theme of dynamism and harmony, it is designed and engineered keeping Indian customers in mind. Punto Evo comes with a first-in-class features like rear AC vents, premium soft touch two tone dash, ambient light, all four auto down power windows, dual stage driver side airbag, smart wipers and 16” alloys, which is available at an attractive price point. Apart from this, Punto Evo offers best-in-class three year warranty for the car with a 2 year extension option. Evo has a convenient service intervals of 15,000 Kms for a real hassle free ownership experience. New Punto Evo customers would get 3 year / 45,000 km total repair and maintenance program at attractive price from FIAT. The build quality of Punto Evo is premium and robust. Proven drive dynamics, comfortable seats, best-in-class ground clearance, high level of safety standards. All in all Punto Evo offers an outstanding driving experience. New Dynamic exteriors: The New Punto Evo comes with the all new stylish exteriors with unique Reindeer Headlamps, elegant LED optical guide tail lamps, blinkers on outside mirrors, premium chrome embellishments, 16 inch alloys giving it a very dynamic stance. Luxurious interiors: Harmonious interior with soft touch dashboard, ambient light, piano finish central console, sporty dials and new colour theme gives this hatchback a very premium look and feel. Comfort and convenience: Punto Evo is carefully engineered to take care of the Indian customers’ requirements. Evo comes with bottle holders in door trims, foldable cup/ bottle holder in front of rear AC vent, glove box, tumble fold rear seat and closable unit in front dash to ensure plenty of utility space. Punto Evo is designed to offer a pleasurable drive with new redesigned seat cushions, automatic climate control option, rear AC vents, dead pedal footrest and comes with power windows for all the four seats. Safety and security: Punto Evo has been well tested to achieve the requirements of occupant protection in high speed collisions as per European homologation standards. Apart from the standard safety features, Punto Evo also boasts of first-in-segment features like 2-stage driver side airbag, double crank prevention system, smart front and rear wipers for better visibility and metal reinforced rear seat back. Active 1.2L Petrol: The price of active 1.2 litre petrol variant of Fiat Punto is 4,55,754 Rs. Dynamic 1.2LPetrol: The price of dynamic 1.2 litre petrol variant of Fiat Punto is 5,12,316 Rs. Emotion 1.4L Petrol: The price of emotion 1.4 litre petrol variant of Fiat Punto is 6,65,929 Rs. Active 1.3L Diesel: The price of active 1.3 litre diesel variant of Fiat Punto is 5,27,000 Rs. Dynamic 1.3L Diesel: The price of dynamic 1.3 litre diesel variant of Fiat Punto is 6,21,602 Rs. Emotion 1.3L Diesel: The price of emotion 1.3 litre diesel variant of Fiat Punto is 6,83,580 Rs. Sport 1.3L 93 PS Diesel: The price of sport 1.3 litre 93 PS diesel variant of Fiat Punto is 7,19,990 Rs. Fiat has strengthened their presence in India by opening 116 exclusive dealerships in 93 cities across 23 states, which provides service to their customers. 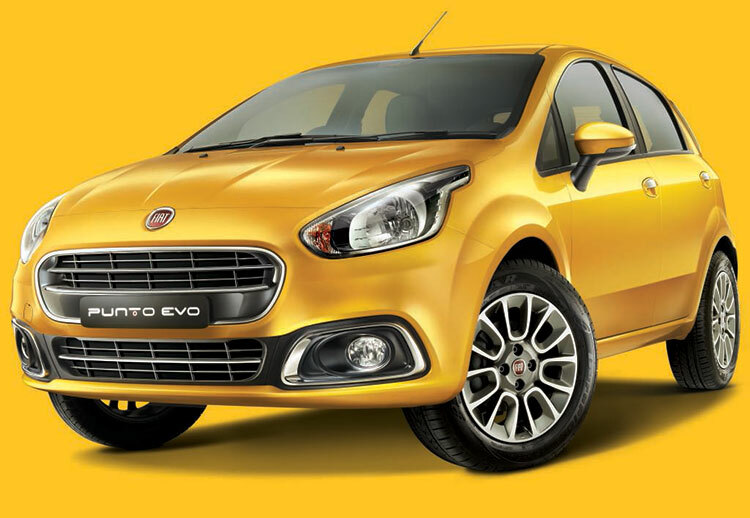 Fiat Punto Evo will be available at all exclusive FIAT showrooms across India. Also check out Specifications of Fiat Punto Evo.